Given the number of evergreen trees that have been killed by beetles over the past 10 years, we always find it very difficult to cut down a living evergreen tree. 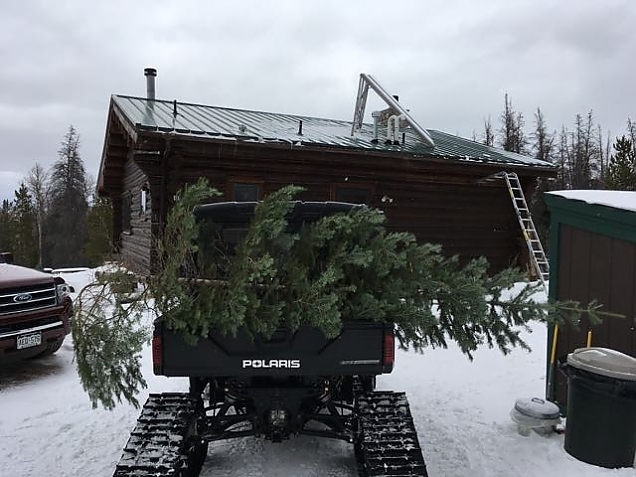 But, it is a Christmas tradition (for those Christmases we've spent here), to cut a tree on our property and decorate it in the cabin. We seek out a tree that is somehow "disadvantaged". It might be up against another tree so it only has one full side. Or, it might be growing in a cluster of trees and not getting adequate light. Lynne standing by our freshly cut tree that we are about to haul up the hill to the cabin. 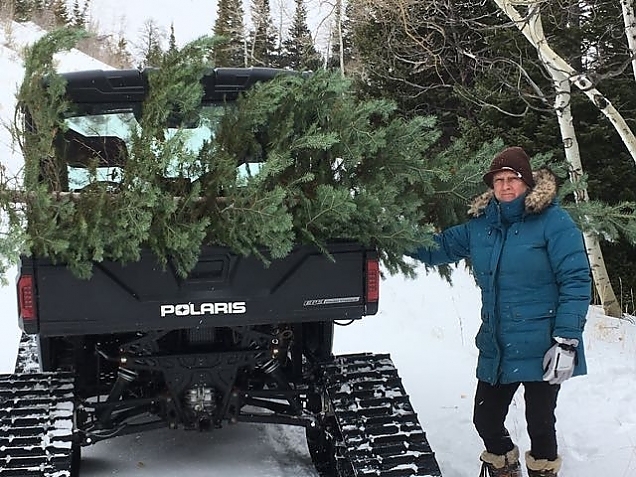 So, about 10 days ago we drove the Ranger down to the bottom of our valley along Avalanche Hill and ventured off into what we call the "Deep, Dark Woods" to find a tree. And, after 30 minutes or so, Lynne spotted the perfect candidate. I lugged the chain saw through 18" of snow to cut it, and we pulled it back out to the Ranger. We drove up the road to the top of the hill, and to the cabin. We cut about 4 feet off the bottom, giving us a nice 8 foot tree. Lynne used the cut off part for boughs on the mantle of the fireplace. 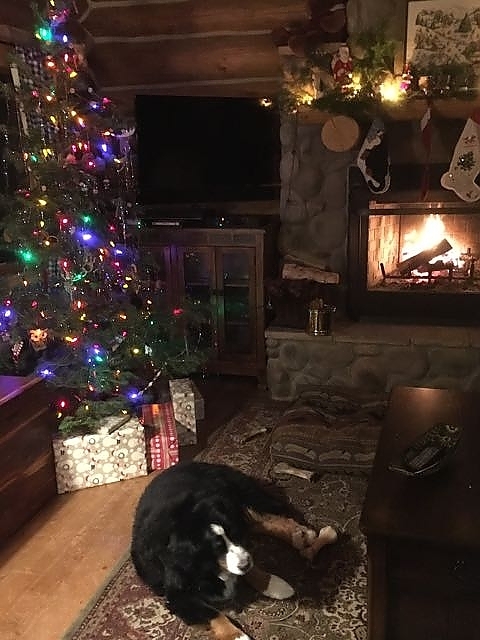 The tree is a perfect shape and size to fit the small place we have for it. Hailey say's "Merry Christmas, Everyone! ".